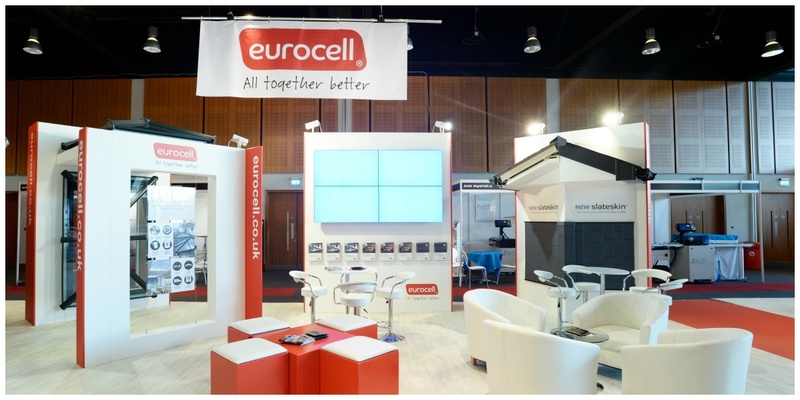 5 things to think about when choosing your exhibition stand builder? With so many exhibition and events companies out there it is not always easy to know which is the right one to design and build your next exhibition stand. Original design, quality construction and unfettered customer service are the essential ingredients, but how to ensure you pick the right firm? Here are 5 things to consider when you are shopping for a new exhibition stand builder. 1. Does the company sub-contract out to other contractors? This can have an impact on the price of your display stand and on the finished quality. Some exhibition companies will design you an exhibition stand and then sub-contract out the actual stand build to another firm. On average you can pay up to 20% more for this type of arrangement than if you were to commission an exhibition contractor who will design, build and install your custom display, all within their own workforce. The other possible downside of your exhibition company using sub-contractors to build your trade show booth is their ability to control quality and deadlines. It’s extremely common for customers to need to make last minute changes to their stand, but this can be much more difficult to manage if there is more than one firm involved in creating your finished booth. My advice would be, select a stand builder who has the skill-set to design and build your exhibition stand in-house. You’re likely to save some money and the team designing your display will work closely with the team building your stand, making it easier for the design concept to become a reality. You will also only have one company to deal with should any unexpected issues arise or you’re dissatisfied in anyway. 2. Don't be too hasty to opt for the cheapest! The old adage, "you get what you pay for" is no less true for exhibition stands as it is for most things in life. Of course, cost is vitally important, but it’s imperative to be alert to other ways in which contractors, who initially appear cheaper than their competition, can find ways to increase the costs once you are in contract. Minor changes can suddenly result in disproportionate cost increases and extra charges. You may be under the illusion that you are buying a complete exhibition stand, but later find out that you only own a small proportion of your display and will have future hire costs to factor in. The reality is that quality products and flawless finishes don't come cheap and if you opt for the cheapest quote you need to be certain that you understand why and how it is so much cheaper than the competition. Read the small print. Check what the extra costs will be for changes and variations later down the line. Be clear on what you are getting for your money. Make sure you know what elements of your trade show booth you will own after the event and what parts are hired and owned by your exhibition company. 3. Has the exhibition stand contractor acquired any accreditation or membership? Look for companies who have earned accreditation in the events industry, such as membership of a trade body like IEAA (International Association of Exhibitions and Events) or ESSA (Events Supplier and Services Association). These types of membership provide you with some assurances in regards to quality, service and financial management of the individual firms. 4. What do their existing or past customers say about them? Ask to speak to existing and past customers to get a real sense of how a stand contractor performs on the job, being sure to question them on quality, finishes, customer service (particularly when things didn't go to plan) and any cost increases they experienced throughout the contract. Did the contractor respond well to changes and were they flexible when being asked to make any last-minute alterations? Did they hit target dates and was the service from design through to installation as the customer had expected? 5. Are their services in demand? This is easy to establish with just a little bit of research. Exhibition stand builders whose services are in demand should have a steady flow of new projects for new and existing clients. They should be able to publish this information so you can see their designs and who their customers are. A good stand builder should be able to design stands for a huge range of industries and each design should be unique to that companies branding, services and products. A quick look at their online portfolio or brochure will tell you whether the firm simply recycle the same designs, components and products or whether each stand is truly custom, designed with the individual clients needs in mind.